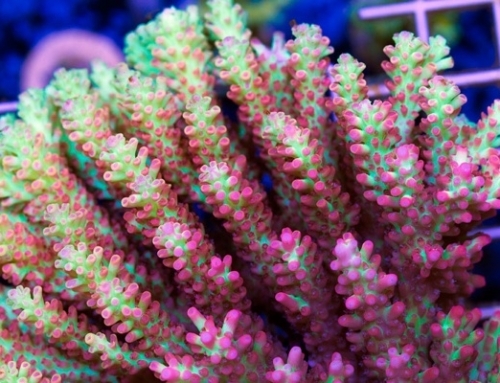 Acropora Valida Tricolor was from the beginning a hit among the hobbyists. 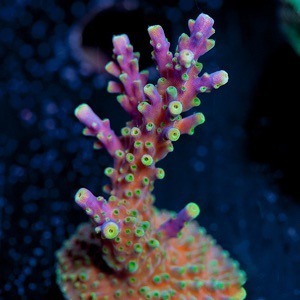 Selected and bred by ORA Farm it is one of the most recognizable acroporas: polyps green light, violet tips and ocher body makes it unmistakable. 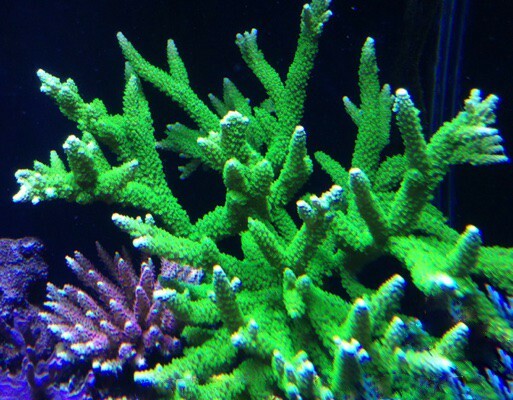 It is a tree growing pattern species, with thin and tidy branches and well spaced tubular corallites, the colony can reach a large size. 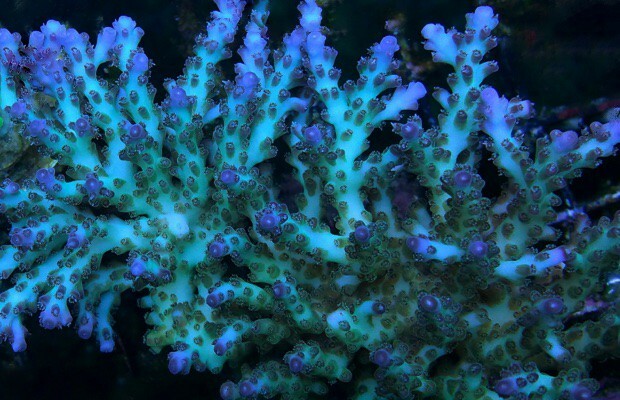 This is one of the sturdiest and easily adaptable species because although they prefer strong currents and being close to the surface, you can also find these acroporas sitting below ten meters deep ledges and on inland areas or reef lagoons. Another widespread selection, though less known is Valida Garf Bonsai. This is the same species but has a slightly different coloration: violet body with intense hue on the tips and lime-green polyps. 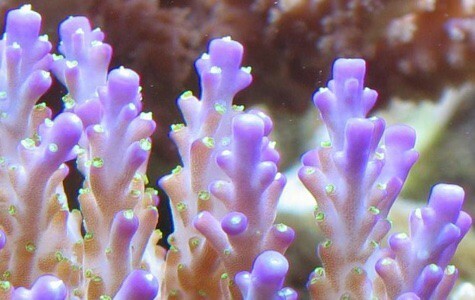 Another famous variation of this species is known as Valida Purple Bonsai. 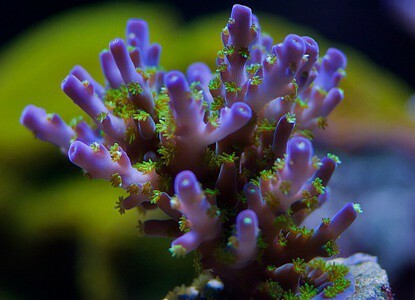 It is very similar to the latter but with a very deep purple coloration on its tips that fades away as we descend to the base and green polyps in a very striking way. This selection is less common in the market and its price usually reaches high levels. 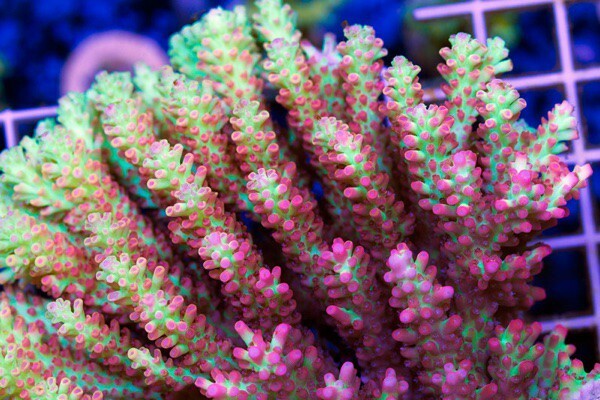 Acropora Valida acroporas prefer aquariums with some level of nutrients, giving us vivid colors and rampant growth. 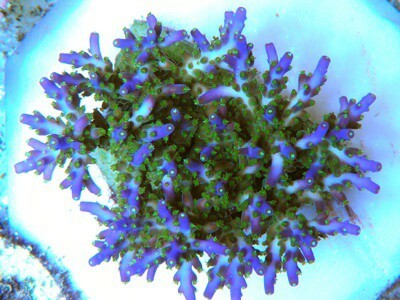 This Valida Tricolor require strong lighting to show an intense violet/purple at the tips and green/yellow polyps even with high levels of nitrate. Yes, under these circumstances the brown color remains I suggest searching for flatworms amakusaplana since this is one of the favorite targets of this damaging parasite. 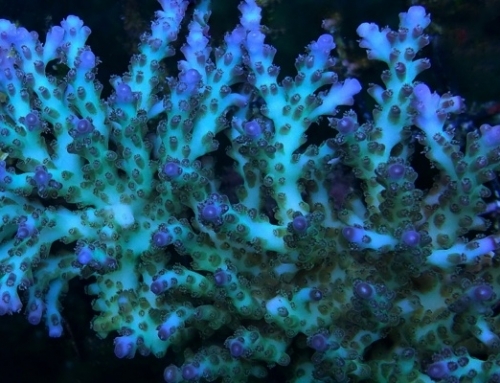 Simply take it out of the tank and place it in a container with a specific solution (Coral RX, Coral Protect, Levamisol…) and shake it to release any clinging parasite. 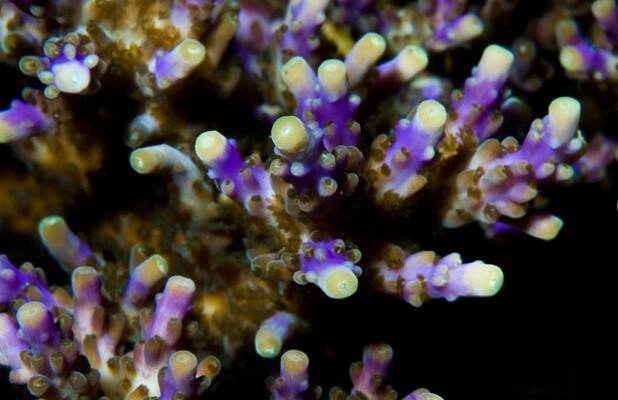 These flatworms are very common and Valida acroporas from aquaculture are often infected. And you, have you scored a Valida Tricolor? Congratulations on your work, I ordered a regular basis and the service is impeccable, very professional. The advice has always been ten and this blog is just fantastic, What photographs and how much passion off your words, it shows that you enjoy your work. Good luck and thanks for these articles reglarnos, keep it up!